"The current tide of violence risks jeopardizing the vote in May" warns "Justice and Peace"
Kafulama (Agenzia Fides) - The White Fathers of Kafulama have started a project for the production of methane, applying the concept of "circular economy", ie a system designed to regenerate itself, exploiting all available resources, in full respect of the environment. The pipes bring the methane produced to a public kitchen where meals are served to the members of the village but, above all, to the thousand young people who attend the local school. The missionaries started from a simple principle: animal excrement, produces carbon dioxide, hydrogen and methane. All these components are very useful for a small community that has no connections with power lines or even with the gas network. At the same time the manure is abundant because the inhabitants are breeders. They thought of a cement tank of three cubic meters. The whole community was involved in the project. Families collect the manure and take it to a square which was specially created in the village. Not all the manure collected will be used for the methane plant: a part is used to fertilize the fields around Kafulama. The cistern was built thanks to the contributions collected by "Friends of the White Fathers", the Italian non-profit organization that supports the White Fathers' projects in Africa, the pipes and the gas cistern was financed by the Malawian State. The government in Lilongwe is in fact trying to diversify its energy sources, focusing on clean and renewable ones. This also allows to avoid the phenomenon of deforestation because the use of gas avoids the use of wood to light the fire. With twelve million inhabitants, among the five poorest nations in the world, 85% of the population in Malawi live in villages. 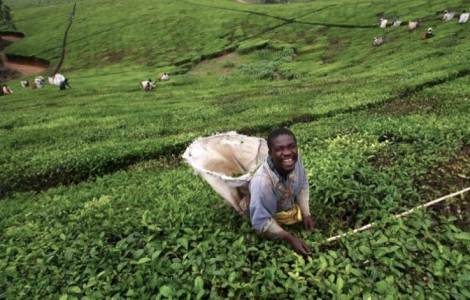 The economy in Malawi is based on agriculture, which represents about 40% of the country's GDP and provides over 80% of employment. The Missionaries of Africa (also called White Fathers) are a Society of apostolic life, born in Africa and for Africa, composed of consecrated priests and lay brothers, in solidarity with the Africans, attentive to their problems and committed to their future. Faithful to their vocation, the missionaries explain that contributing to the work of agriculture in Malawi means first of all understanding and sharing the difficulties of the vast majority of the population, with a spirit of evangelical proximity, helping them to improve the use of land, supporting them in their professional training and therefore in daily livelihood. ASIA/INDIA - Archbishop Machado: "The Pope brings hope of peace and harmonious coexistence in Asia"